The space has recently seen a full refurbishment which raised the ceiling height, bringing new exciting opportunities that'll literally elevate your event, and existing supports redesigned to create a more open plan space to welcome more natural daylight into the space. The refurbishment also enhanced panoramic views of the River Thames and some of London's most iconic landmarks including Tate Modern, Shakespeare's Globe and The Shard. Adjacent to the Upper River Room is the Queenhithe. This flexible extended space, which is divided by a movable wall, can be used as a dance floor, drinks reception, breakout space, and even a smaller space for conferences and product launches. 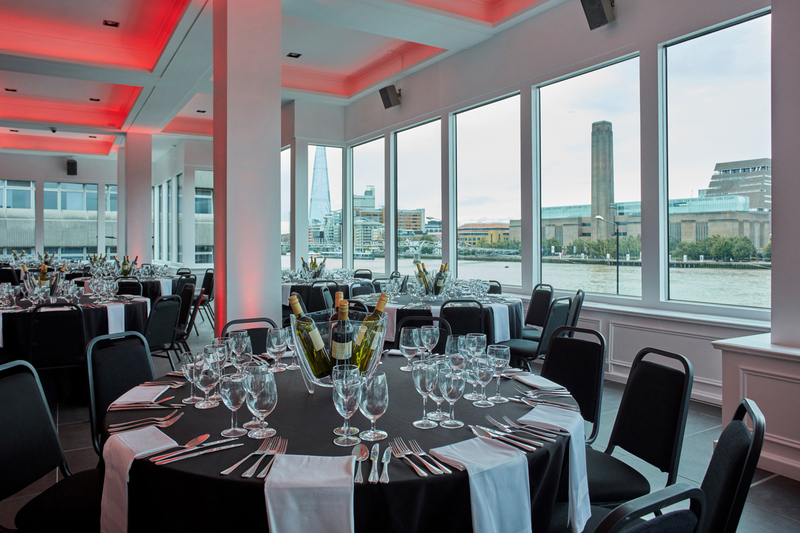 With pre-positioned rigs and state-of-the-art lighting equipment at the ready, you can turn the Queenhithe into a space that runs seamlessly with the Upper River Room which can also be combined with the Lower River Room to create your event vision. The space is serviced with award-winning food and drink from catering partner KUDOS, one of the UK's leading catering companies, meaning you can offer your guests catering to remember. The Upper River Room can also be combined with the Lower River Room and Queenhithe for larger events to take place. 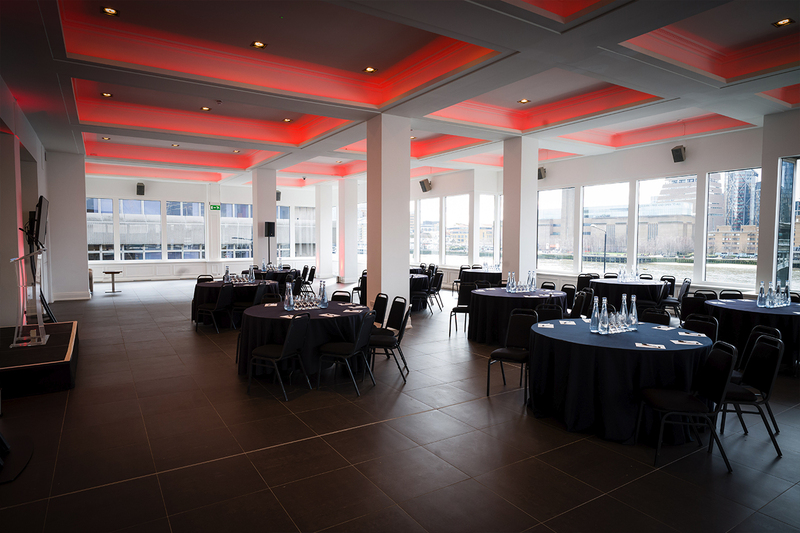 This may be a conference or AGM taking place in the Upper River Room and Queenhithe, and the Lower River Room used as a breakout area or reception. The River Rooms and Queenhithe go together like a fresh gin and tonic. Whilst the Queenhithe works beautifully on its own – for conferences, reception events, or artistic exhibitions – its when it is bolted to the River Rooms that it really shines.